A unique collaboration between soccer star Thierry Henry, international nonprofit Grassroot Soccer and donor-advised fund Goldman Sachs Gives will translate Henry’s actions on the pitch this season into positive change in the lives of young people in Africa. 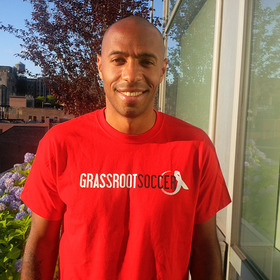 Through the Thierry Henry Challenge, Goldman Sachs Gives will contribute $5,000 to Grassroot Soccer each time Henry, a striker for the New York Red Bulls, scores a goal and $2,500 each time he makes an assist during the 2013 Major League Soccer season, up to an amount of $150,000. Thierry Henry is an international soccer standout whose career includes victories in the FIFA World Cup, the UEFA Champions League, and the European Championship. He holds the records for all-time leading goal-scorer for both the French National Team and Arsenal FC. In 2012, he earned spots on the MLS All-Star Team and Best XI for the second-straight year. He was recently selected to the 2013 MLS All-Star Team. 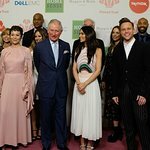 Grassroot Soccer (GRS) is a non-profit organization founded in 2002 that uses the power of soccer to educate, inspire, and empower communities to stop the spread of HIV. Founded by four professional soccer players, Grassroot Soccer is mobilizing the most vulnerable population of youth, ages 12-19, to break the cycle of AIDS by engaging local coaches who equip young people with the knowledge, skills and support they need to avoid HIV. GRS has a global reach, with flagship sites in South Africa, Zambia and Zimbabwe.